I have been to Hong Kong a lot of times. My oldest dearest friend lives there so it is a frequent stop in for me if I’m anywhere near Asia. As a result, I have done most of the tourist stuff. 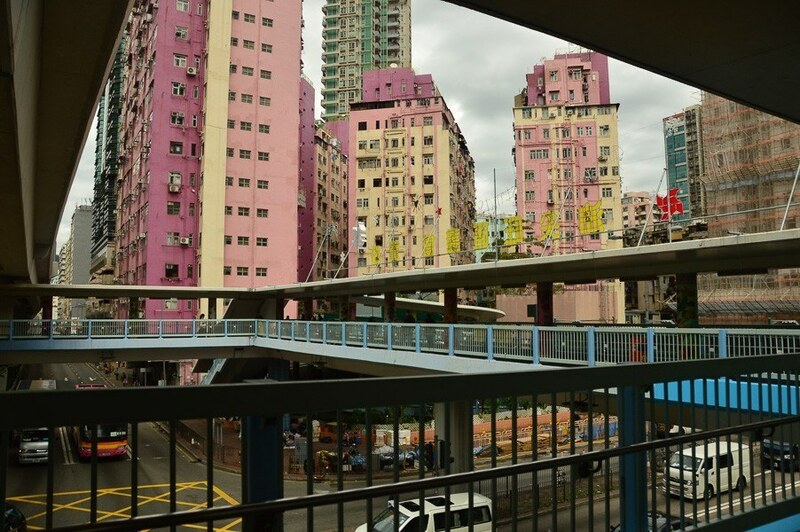 So my most recent trip was January 2016 and I was keen to try some different things and get a new feel for Hong Kong off the beaten path – and hopefully find some Hong Kong hidden gems! I had also been introduced to the fabulous Sassy Mama website by expat friends. 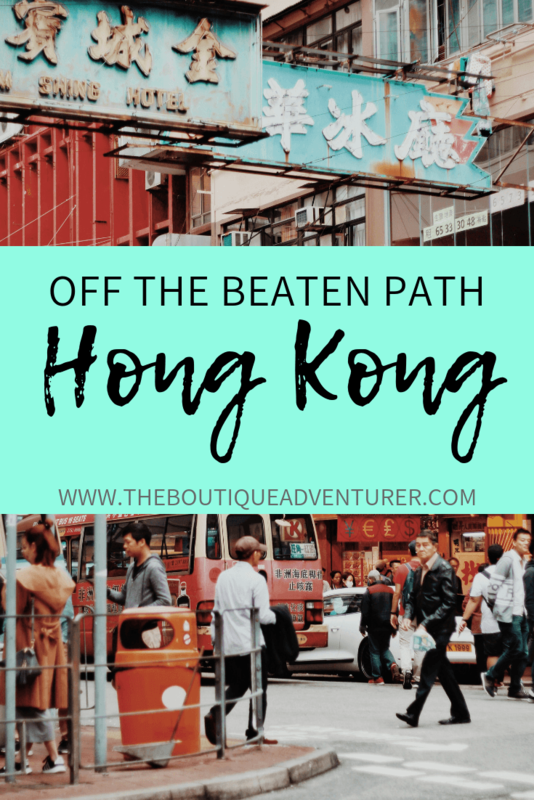 Yes it’s primarily for mums but they have fantastic posts about where to eat and go – I highly recommend you have a look before you go to Hong Kong. 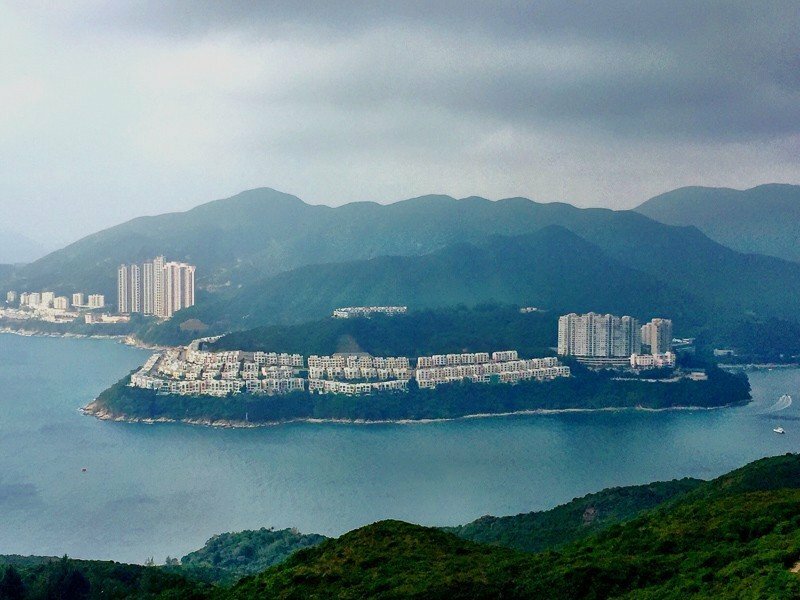 This post is a Hong Kong Itinerary that covers things to do in Hong Kong for 3 days. Here is my Hong Kong Blog on the best off the beaten track things to do! Find all my Travel Favourites in my online shop! This is a great pretty full on trek on Hong Kong Island. It is called the Dragon’s Back as you get quite a bit of up and down and gradual peak upon peak. It takes about 2 1/12 hours and has some stunning views. It’s a nice little workout and it is worth wearing proper shoes. I did it in standard runners and that was fine but I would have been happier with some type of ankle protection for the downhill portion. Shek O is a super cute beach/surf town at the end of the Dragon’s Back trail virtually. Well, you can walk there but it’s much quicker in a cab and by the time you have done the trail you are going to be hungry! There are surfboards and wet suits galore which I completely didn’t expect in Hong Kong! And a couple of fantastic Thai restaurants which are just near the beach. 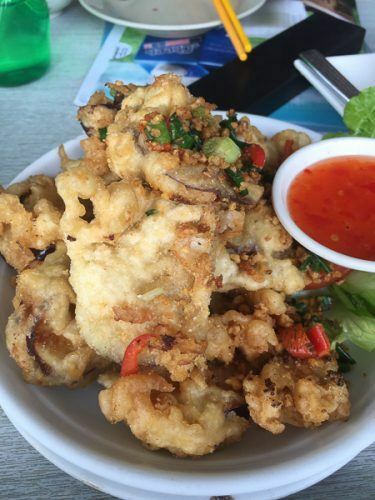 Check out Happy Garden Thai restaurant – it has a great balcony with a view of the beach. Well from a distance but you can still see it! Inside the menu is the chef’s recommendations list and apparently this is the place to source your order. We had this amazing deep fried eggplant with prawn meat stuffing and spicy salt. We also tried a pineapple rice – interesting – good for presentation! A very good green curry that wasn’t too spicy – I can’t do too spicy. Fab spring rolls. And then for something different a seafood curry that was served in a giant bread roll – like how they often serve soup in the US. Delicious! Alas, they don’t serve wine but they do serve beer. We bought wine at the other thai restaurant on the roundabout and went byo – good value at 160 HKD for a bottle of sav! So you can’t go to Hong Kong without dim sum!!! I hit two places on this trip. The first was Tsui Hang Village. The key reason we went here was for novelty dumplings! And they did not disappoint – we got pig shaped dumplings! Alas, they tasted a bit funky with sweet potato inside – not awful but quite odd. 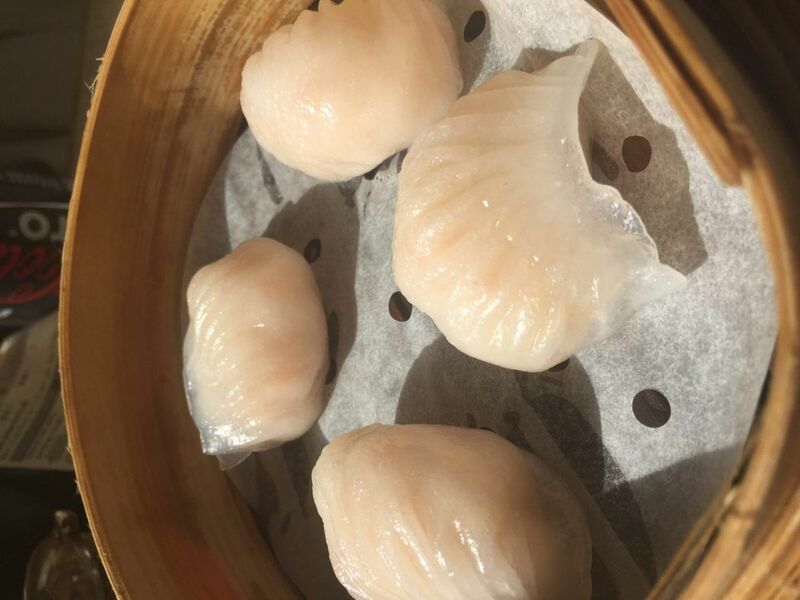 But the Hong Kong Blog Dim Sum highlight was Tim Ho Wan at the Olympic shopping centre! So I got here at 1145 on a Monday morning and got an immediate seat – but there was a queue by 1220. The food here is amazing!!! You get a sheet of paper and a pencil and order away – no trolleys. The food was fast and fabulous! And there was a giant bottle of soy on the table which delighted me. So often you just don’t get enough soy and have to keep asking for these little thimbles of soy. I started with the vermicelli rolls with shrimp then some more shrimp with fresh shrimp dumplings. Both were amazing! 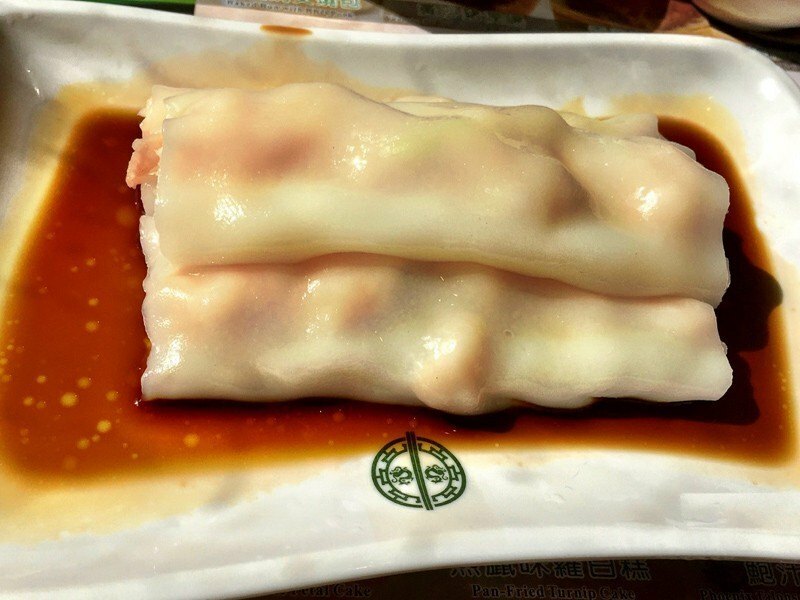 The vermicelli rolls were the right level of slimy and shrimp dumplings were outstanding – plump shrimp with a delicate coating. Next up was steamed dumplings Chiu Chow style which was peanuts, chives, pork and water chestnuts. 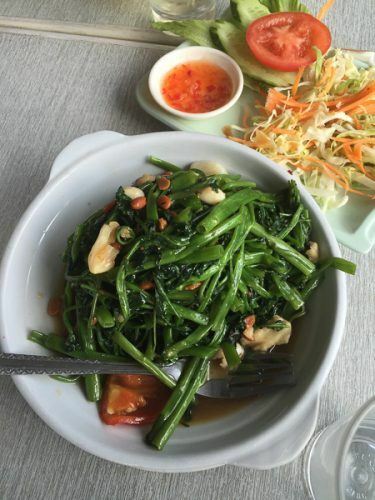 This was my least favourite dish – probably my own fault as I don’t really like water chestnuts but this was apparently a signature dish and I can’t not order a signature dish! Only in Hong Kong between flights? 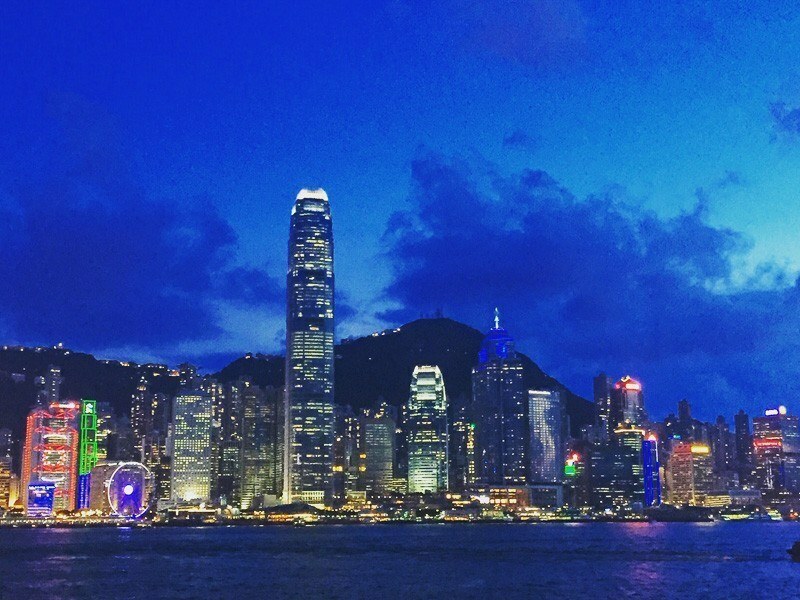 Check out this great post What to do on a 12 Hour Layover in Hong Kong. And then the baked buns with bbq pork. These were quite different from the norm of the pure white, sticky, puffy pork buns. 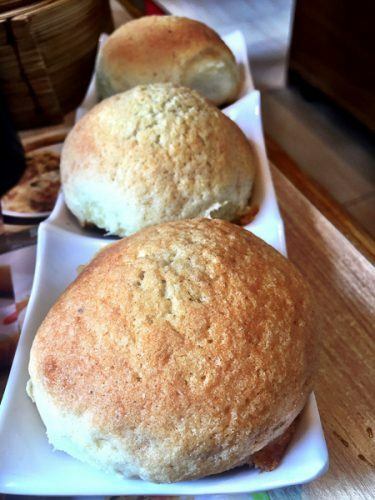 These were more like bread rolls – but sweet and sticky bread rolls that were the perfect contrast to the delicious bbq pork interior – these were my highlight! So as always I over ordered but all this food and coke zero were a bargain HKD98!!! 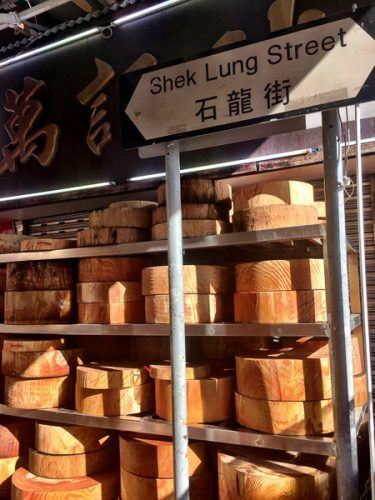 This is probably my favourite area in Hong Kong – and Sheung Wan is the hot new area within it! It’s all happening there – a bunch of really cute cafes have popped up and you can easily get a fabulous Australian style brunch. I had a fantastic breakfast at Oolaa – a delicious salmon swiss rosti and some great coffee. 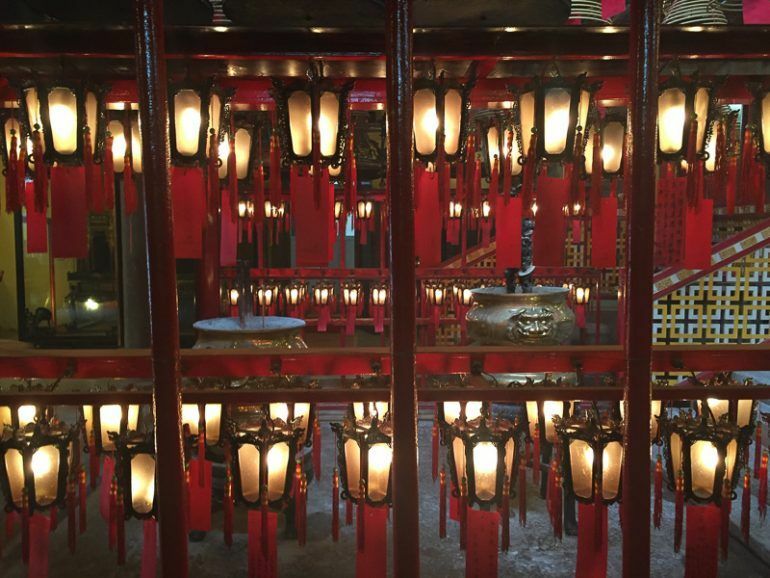 After brunch go and have a look at Man Mo Temple. This is a beautiful active temple – free admission. And it is extremely photogenic! I also then enjoyed wandering down and visiting the coffin shops! You don’t often see coffins in retail so was a unique Hong Kong hidden gem! The other place that was new for me this trip was PMQ. This is a new complex of sorts that has quite a few fab looking restaurants and some really interesting little shops. The shops are all about local artisans and this is a great place to pick up some stylish souvenirs. This and tang tang tang tang. The four tangs is David Tang’s shop – creator of Shanghai Tang – and has stunning homewares. 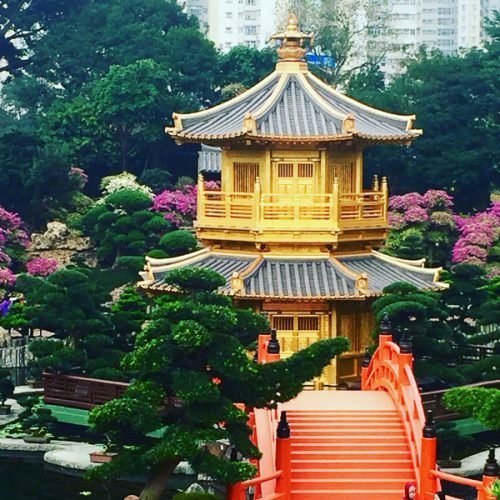 Two off the beaten track Hong Kong sites are conveniently located next to each other on the Kowloon side are the Nan Lian Garden and Chi Lin Nunnery. The Nunnery is a lovely piece of quite calm in busy Hong Kong. The buildings are well maintained and the environment is serene. You can’t take photos inside the nunnery walls but it is a nice shot from the outside. You can then wander to the very photogenic Nan Lian Gardens. Cherry Street Park is very close to Tim Ho Wan. 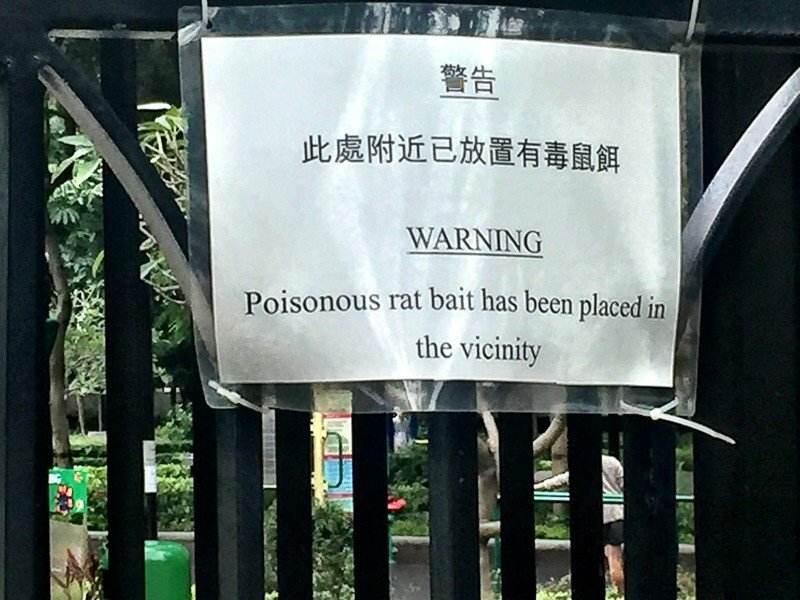 I refused to be put off by the signs telling me to watch out for Rat Poison -it certainly wasn’t stopping the locals. 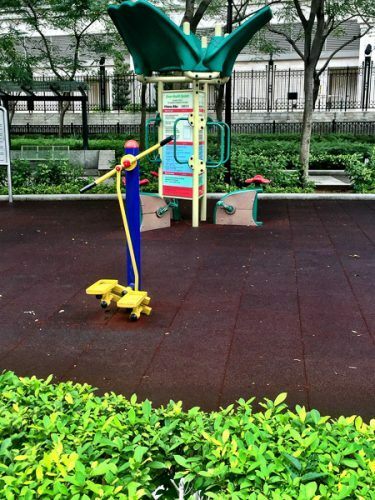 The park has been designed to be like an outdoor gym Hong Kong style. There was Tai Chi going on and a kid’s playground. It is quite a large park and it was a little difficult to figure out how to exit once you were in so if you get stuck backtrack to the Olympic Shopping Centre walkway thing. 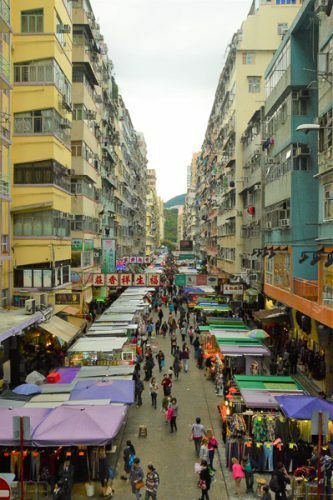 If you’re looking to save time and stress book a Hong Kong markets walking tour that will take you through Mongkok. 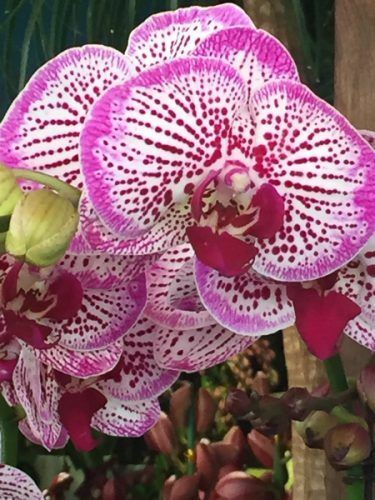 The orchids here are absolutely stunning – you will wish you were able to take these beautiful delicate flowers home. Alas, you’ll have to settle for photos only – which the stall owners are happy for you to take. 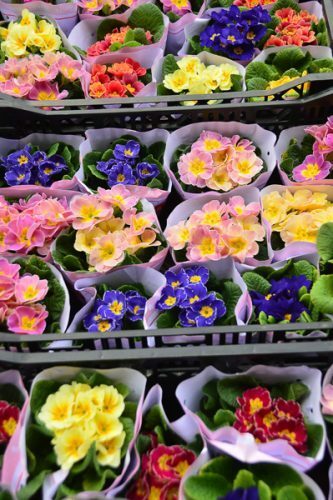 Prince Edward Street road side has more upmarket flower shops as well as some cute boutiques and food places. A lot of the nicest places are on the first floor of these buildings so look out for cute signage pointing you upstairs. I also went to the nearby Bird market (the area is very well signed). 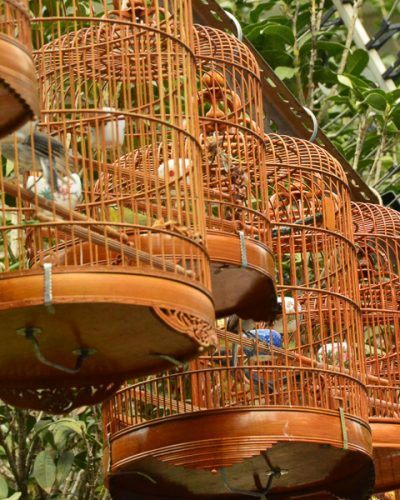 I’m not really sure why I did this as I am not a big fan of birds – I think I thought I might get some good photos of birdcages. I did get a few of those shots as you can see but the place kind of gave me the creeps – caged birds singing etc etc. For less hassle book a tour of Hong Kong’s markets before you leave home – this one covers all the markets I mention in this post. 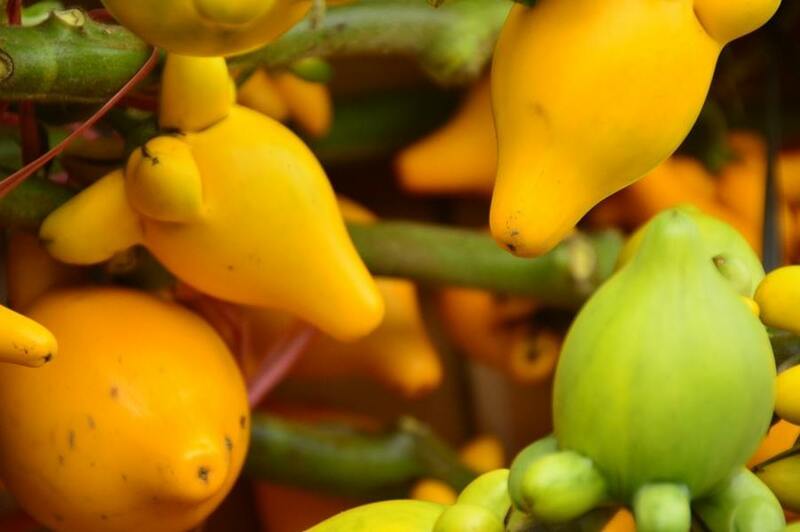 From the Bird Market wander back through Fa Yuen Street for an assault on your senses on your way to Sneaker Street. The key street here is Nelson street. The Sneaker market is well signed but it was a bit confusing to figure out if you were actually in the heart of the area – so head for Nelson street. 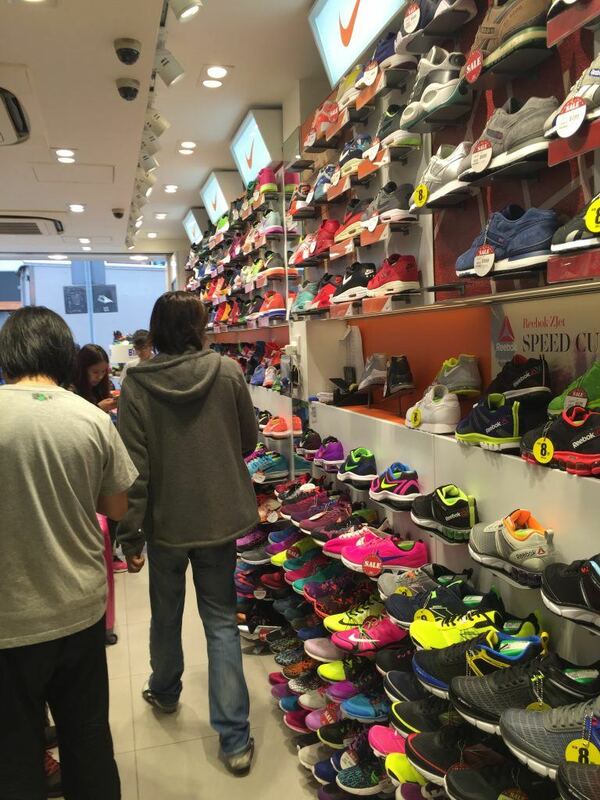 There are loads of stores here and sneakers galore. You can feel the heart palpitations of the Adidas/Nike/ASICs IP lawyers as you see signage that has surely not been signed off by head office! I got a pair of Adidas runners here. I had actually thought they were knock offs but was later told my several HK residents that the sneakers here tend to be the real thing! So next time I come I will buy proper ASICs shoes for running. One of the most fun things to do in Mongkok is take photos of fish! 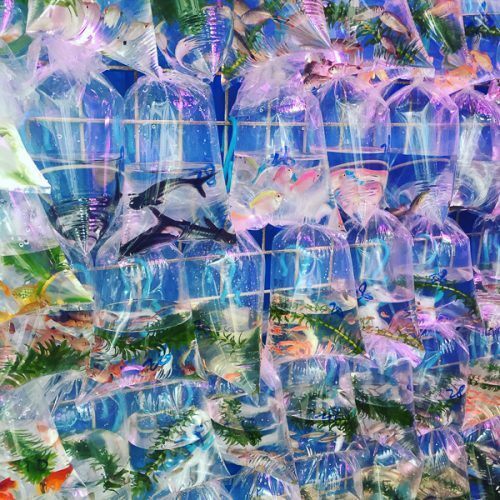 Goldfish street is actually Tung Choi street in Mongkok – head for its corner with Bute street for maximum shops and shots. This is an area for pet owners in general with pets and their accessories on sale. However, the highlight is the numerous cute little bags of goldfish in gorgeous colours – very good for Instagram! If you’re looking to take in a mix of sights in Hong Kong check out this great post on a 3 Day Visit to Hong Kong. For a brilliant location and all you need in a very efficient space check out Bishop Lei International. 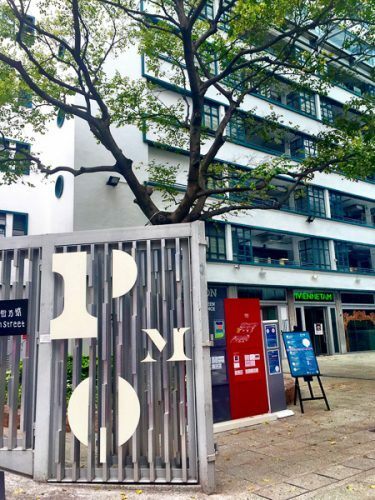 The location on Hong Kong island is right in the heart of the mid levels – particularly good for foodie travellers as you will be able to walk to some of the island’s best restaurants. Prices start at around 110 pounds. Check out the latest prices and more details. -Close by is the super funky Lan Kwai Fong Hotel. From 100 pounds a night you will have access to their Michelin star hotel plus a great location in the heart of Soho on Hong Kong Island. Check out the latest prices and more details here. -For around 150 pounds a night you can enjoy the design influenced J Plus Hotel by Yoo and its light airy design. Latest prices and details here. -For a fantastic decadent option, Kowloon side check out the Langham. My parents always stayed at the Langham in Hong Kong. It is a beautiful hotel and has a fantastic outdoor bar and outdoor pool – and you can get deals from about 150 pounds a night. The Langham is Kowloon Side. Check out the latest prices and more details. -For one of the ultimate boutique hotel experiences, you can’t go past the super famous The Peninsula in Kowloon. This is one of the most famous hotels in the world for good reason. They are best known for their stunning afternoon tea and also have some fantastic shopping. Prices start at around 450 pounds a night. Check out the latest prices and deals. 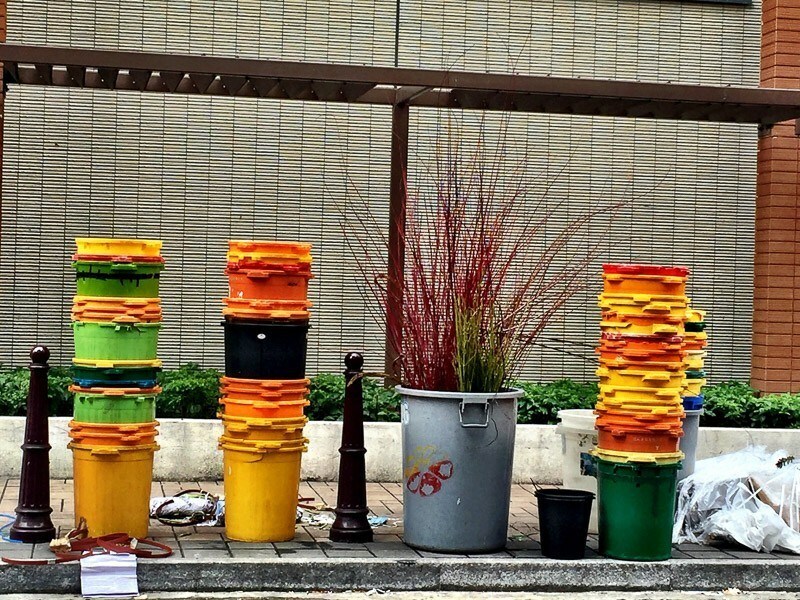 even the rubbish looks artistic! Click here for cheap flights to Hong Kong. Or try my favourite Middle Eastern Airlines – particularly if you are flying business class. I am a big fan of Qatar and the brilliant Doha airport – Click Here for Prices and Availability– and Etihad which has its own separate terminal for business and first in Abu Dhabi! – Click here for Prices and Availability. 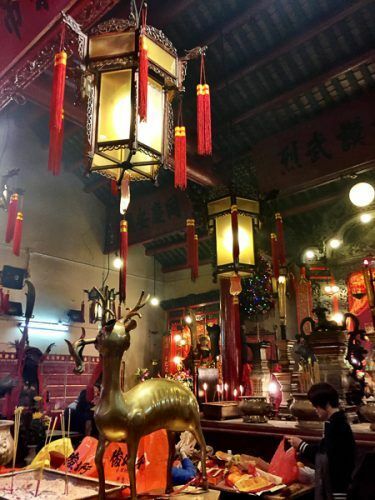 If you are travelling solo and keen to explore group tours there are several that cover Hong Kong and are worth checking out: Just You Hong Kong, Exodus Holidays China/Hong Kong, Explore Holidays Hong Kong and G Adventures Hong Kong. And don’t forget to grab some travel insurance before you go – gosh knows I have ended up using it several times – Travel Insurance Offers. the Buildings of mongkokLike my Post? Why Not Pin It? Next articleKamalaya Thailand – Is this the Best Spa in Thailand? Thanks so much for the post! I love trying new places to eat and working up an appetite beforehand. I’m hoping to test out your suggestions in the next year! I probably won’t be making my way there again any time soon but if I do, these will be my go-to places to check out! Especially Dragon’s Back Trail! I would love to travel and Hong Kong is on my list. It looks like such a fun time! I’d love to travel to Hong Kong one day as I feel there is so much culture and history that I need to explore. The Dragons Back Trail looks like it has some amazing views. Fun! 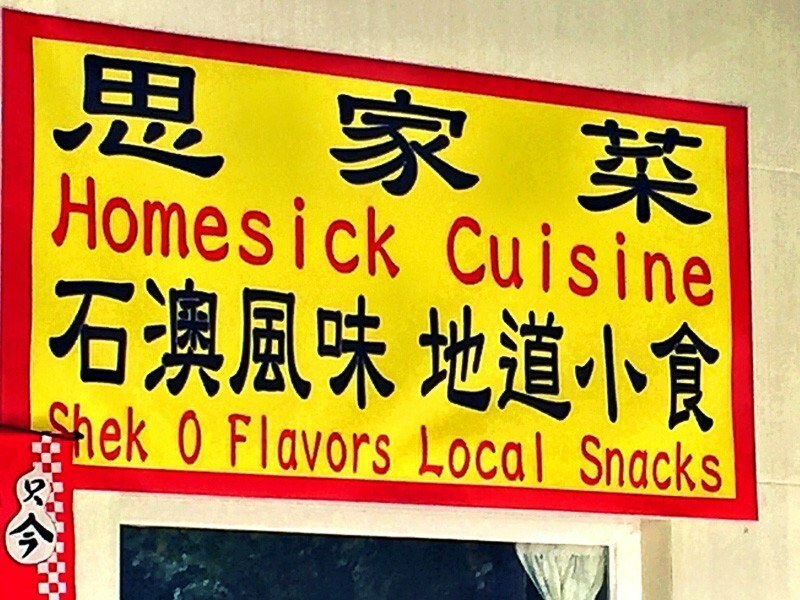 I’ve never been to Hong Kong. I love that pig dumpling. 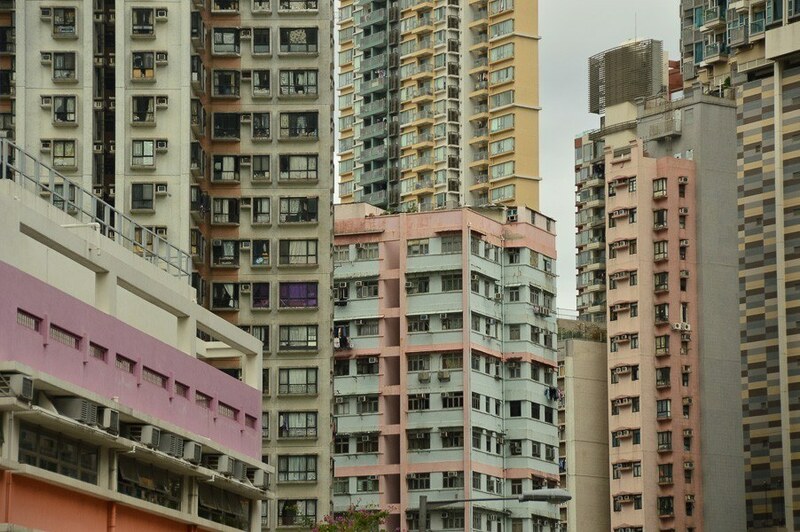 Hong Kong is one of our favourite towns too. We haven’t hiked the Dragon’s Back Trail yet so we’re looking forward to that for our next visit. And thanks for the yummy tips on where to eat. We’d love to try a pig shaped dumpling – so it is sweet potato and not pork? it is sweet potato – didn’t taste that great but it looked good! 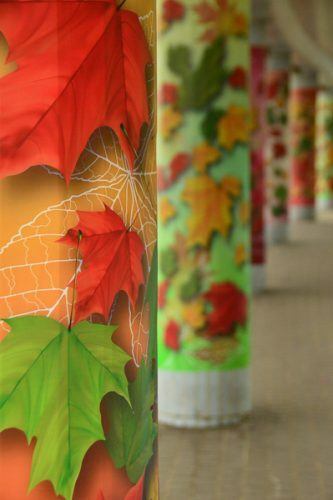 I’ve never been to Hong Kong, but would love to visit one day. Loving the look of the pig shaped dumplings! We were only talking about planning to a trip to Hong Kong today, so this is great timing. It is one place that I have always wanted to travel to. Wow…the view from the Dragon Back trail is amazing. Sad that HK withdrew its Visa On Arrival for Indians because of pressure from Chinese Govt. Else it would have been a fin place for me to visit. Been to Hong Kong Twice, on my recent trip I was looking at the trek to Big Buddha at Lantau Island instead of the cable car, the trek to Dragon’s Back trail looks even more interesting and challenging! Dim Sum! AMAZING! I’ve never been to Hong Kong, but I’ve been around China. I loved it! I would love to visit Hong Kong! Everything looks great! I don’t know much about Hong Kong so it is great to get your insider view of the city and the place to see and where to eat. 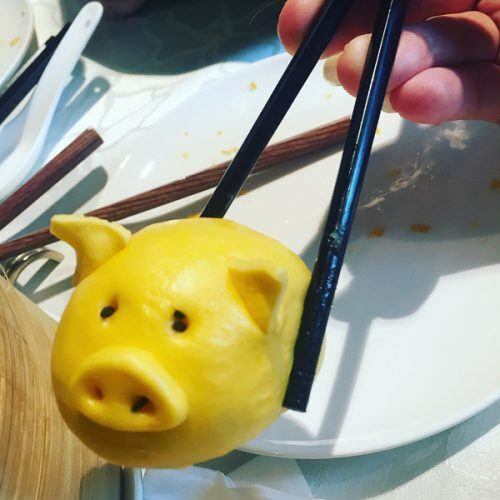 Pig dumpling-how cute! Beach town-who knew? Thanks for sharing. I’ve always been interested in Hong Kong and all it has to offer! 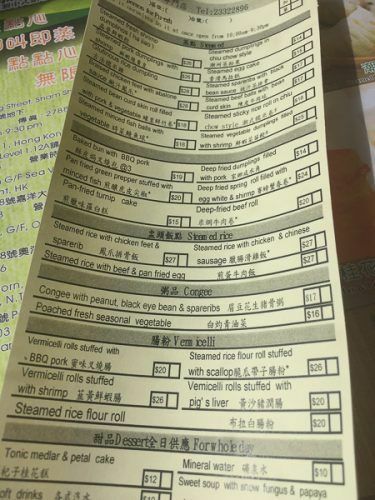 Of course, I’d also love some genuine dim sum! Although we only had a couple of days just passing through Hong Kong, we really did fall in love with the place! We managed to squeeze in the dragon back ridge trail, and it was a really stunning hike, and finished down at big wave bay to watch the surfers! Just seems like it has something for everybody! Pig shaped dumplings and coffin shops? Love it! I love a post that covers the lesser known travel areas. Dragon’s Back and Shek O sound exactly perfect for us. 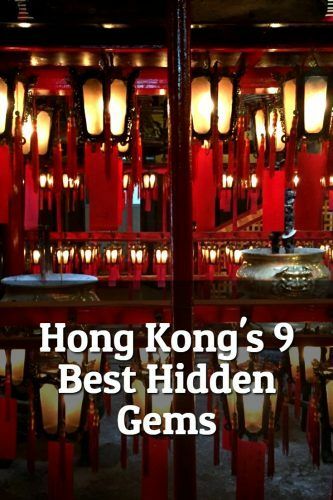 We’ve never been to Hong Kong, but will definitely keep these in mind when we do! It’s been a while since I last set food in Hong Kong. It would be nice to go back and experience the good food and the amazing sights! Hong Kong is one of my favourite destination. It has amazing food options , the dumplings looks so cute. I love exploring new places and trying the authentic food. Thanks for sharing. So difficult to narrow it down to just 5 things but I think you did a great job. I’m happy to see that dim sum made the list! No HK list would be complete without it! I love HK! I hadn’t heard of the Dragon Back trail before and would love to check that out on my next visit there! And of course we had lots and lots of dim sum there- I seriously think I could eat it everyday and not get sick of it! Pig shaped food sounds so interesting! I love the scenery of Hong Kong. I can’t wait to visit one day. Dim sum all the way! Now I’m starving 😉 I have a friend visiting Hong Kong soon so I’ll definitely share this with her. I would love to travel here. it look awesome! First time to see a dumpling pig and he’s so cute! I can’t wait to visit Hongkong and Disneyland too! I will definitely include the above on my to-do list. Thanks for sharing! Travelling to HK has been in my bucket list since I was a child. Would love to explore all the places you’ve mentioned. I’d love to visit Hong Kong one day, not least because I have a school friend there I’ve not seen since we were 16. I’d love to do some of these hidden gems as well as the usual tourist stuff when I do finally get there. Oh, I love dimsum at Tim Ho Wan. They are so yummy and we are crazy for it. 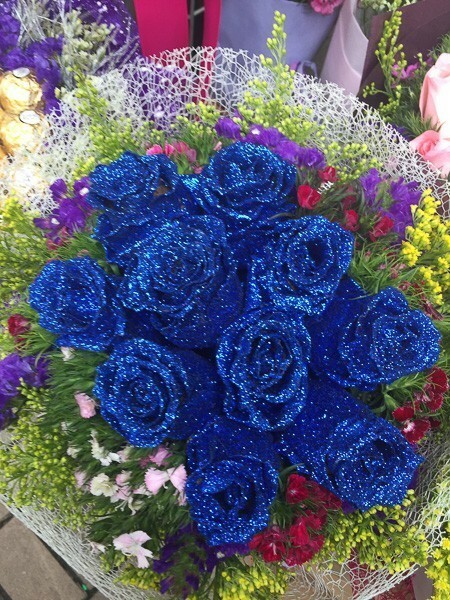 Thanks so much for your sharing and keep up with your good work! i know so good!!! I wish I had one close to home! 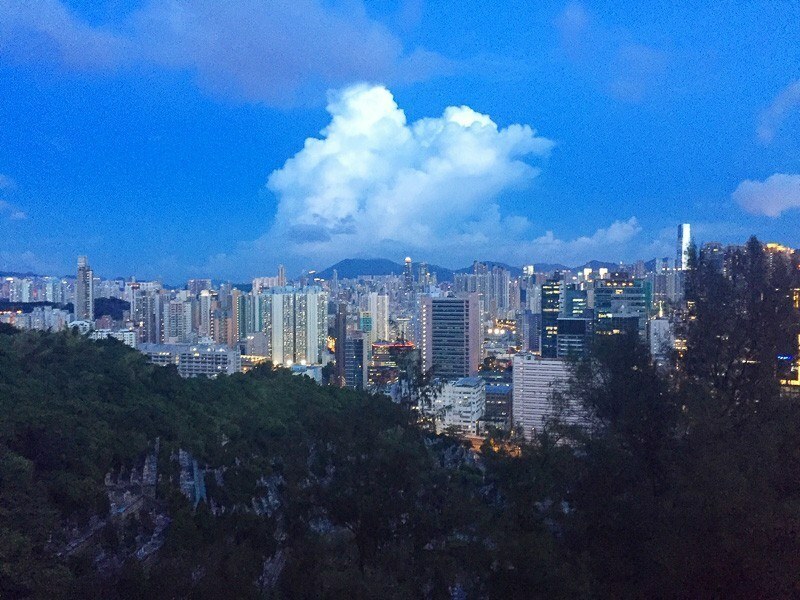 Hi, theboutiqueadventurer your blog is nice very useful article for Hong kong travel. I did travel in this place awesome and nice place. thank you for posting. Glad you found it useful Ashok!